Today’s headline was a play on words – I was trying to incorporate the words, “Little Things” into the title because the website, LittleThings, has formally announced that it was closing down. If you’re not familiar with LittleThings, it was an online publisher that focused on delivering content largely tailored to women around recipes, DIY projects and beauty. They did some pretty high-quality video and stuff as well. Overall, LittleThings was everything you’d think that a small, online, independent publisher would want to be. They had over ten million Likes on their Facebook Page and their videos were viewed and shared hundreds of thousands of times each. Except they were a digital sharecropper. 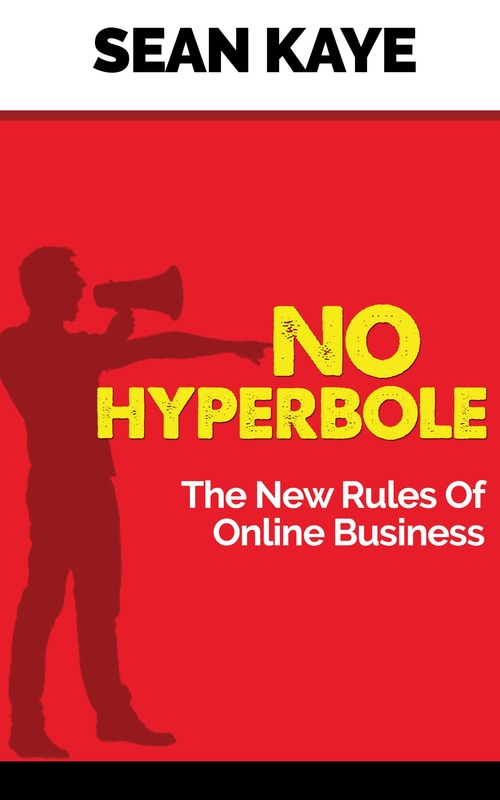 This is something I’ve talked about a few times before, so I won’t bore long-time readers with the detailed explanation, but in essence, they built a core part of their business atop someone else’s platform. The core part of their business that I’m talking about is traffic generation. They were almost entirely dependent on Facebook for sending them visitors and traffic. That’s precarious at best. It doesn’t matter what the predominant source of traffic is, if you are single source dependant, you’re in trouble. The recent change to their newsfeed display algorithm that Facebook made saw their website traffic diminish by 75%. That means that SEO, direct traffic, referral traffic and other social media traffic combined made up less than 25% of their total website traffic. Sorry, but that’s bad management. Let’s call it for what it is. They thought the Facebook free traffic gravy train would never end and they were wrong. See, the thing is, with over 10m Likes on their Facebook Page, they have a MASSIVE audience they can address on that platform. They could post content, pay to boost it and they’d be able to probably INCREASE their overall reach. But their entire business model was built on Facebook effectively providing them with free traffic which is a crazy premise. No business owner should ever think they are entitled to “free” advertising from someone else’s platform which is in essence what we’re talking about here. They wanted to post content on Facebook’s platform and draw people away onto their website… at no cost. That’s kind of absurd, right? You wouldn’t create a TV spot that has a call to action for people to visit your store or call your 1-800 number and expect to CBS to air it for free on Thursday nights between Big Bang Theory and Young Sheldon. But yet these folks think Facebook should do that. They believe that you want to see their video about how to polish silverware with toothpaste right in between your Mom posting a photo of your niece and the guy you went to high school talking about how his new tattoo is a work of timeless art. That’s a bad bet and Facebook is in the business of selling ads. But the other thing is, they didn’t really seem to try to improve other great sources of traffic to minimize their exposure. They have about 100k followers on Instagram, but their entire profile seems to be pictures of dogs with captions. That’s not really sticky and indicative of a bigger problem which I’ll touch on in a second. They had a Pinterest account with about 100k followers. Pinterest is generally a good source of traffic, but it seemed like they used it exclusively to create boards of recipes and they pinned a lot of other people’s stuff to them amongst their own. I find Pinterest confusing, but it’s a good source of traffic, particularly for their audience but again, there’s another bigger problem which we’ll come back to. They made a ton of videos and they uploaded them to YouTube. Their YouTube channel has only about 14k subscribers which is pretty low considering they have over 10m FB Page likes and 100k followers on both Instagram and Pinterest. What’s worse is, their videos just don’t get viewed. One they posted last week had 94, yes, just 94 views. They created original “shows” but most of them don’t seem to have been uploaded to YouTube. The ones that were there are getting about 250 views. Conversely, their videos on Facebook were averaging 300k views. Then there is the largest traffic source on the internet – Google. According to Ahrefs data, the LittleThings website ranks for over 990k keywords! That’s a lot, let’s not mix words. And when you look at the Ahrefs estimate of their organic traffic from Google they are saying it’s about 650k unique visitors per month (which is probably a low estimate), which is a fair bit of traffic, although not as much as you’d think with that many keywords. When you dive into what they rank for on Google, you see most of their estimated traffic comes from really low value and largely irrelevant keywords. Their highest traffic keyword is “Lucy Maude Montgomery”, who if you’re not familiar was an early 20th-century Canadian author most famously known as the author of Anne of Green Gables. Their second, third and fourth most trafficked keywords are: “charlize theron”, “betty boop” and “national anthem”. Again, that’s indicative of a much larger problem. So what’s this big problem that I’ve alluded to multiple times? They were a one-trick pony when it comes to traffic. They had a big FB following and on pretty much every other platform they had almost no idea what they were doing and clearly spent very little time on getting better at it. What tweaked for me was YouTube. If you’re creating video shows like “Truth Bomb Mom” starring Kristina Kuzmic, how come I can’t find it on your channel? Well, that’s because the show is on Kristina’s own YouTube channel and it has 92k subscribers. Well sorta… YouTube seems to have different videos (that get way fewer views) than what’s on the Facebook Video Playlist for “Truth Bomb Mom”. And the shows on the website haven’t really been updated at all regularly for the last month it would seem. Which leads me to Google. Their entire website is poorly optimized for search traffic. The main content layout is terrible making it REALLY hard to read, the content itself are poorly written listicles or short blurbs of almost no substance and everywhere you look, they are trying to force you to share stuff on Facebook. Simply put, this site wasn’t very good. It had crappy content, for the most part, they shared a lot of dog memes, the higher production value content they did create (ie video shows) seemed to do well and they appeared to have no idea about traffic at all. They were a “business” that got lucky on Facebook and then Facebook changed the game. The overwhelming narrative that’s being spun about this story, including a comment from a LittleThings staffer is that Facebook is “the destroyer of worlds”. I think that’s really unfair. Facebook doesn’t owe any business owner any free exposure, that’s an absurdity. To suggest that somehow this was their fault is just delusional. The truth is, this was a house of cards with a well-polished veneer but built upon unstable foundations. They basically had an incoherent and discombobulated content strategy, no idea about traffic generation outside of Facebook shares and posting to their Page and much of their content aside from a few video shows was very low-quality. This is a business that kind of deserved to fail. They tried to sell it to larger media properties in the latter half of 2017 and nobody was prepared to bite. It’s easy to see why when you scratch the surface. I’m sure if you looked at the underlying numbers, it probably would have been worse. That’s the problem with the digital sharecropper model. It’s incredibly limited and extremely precarious. When you compound it with low-quality content and spotty execution, this is what happens. 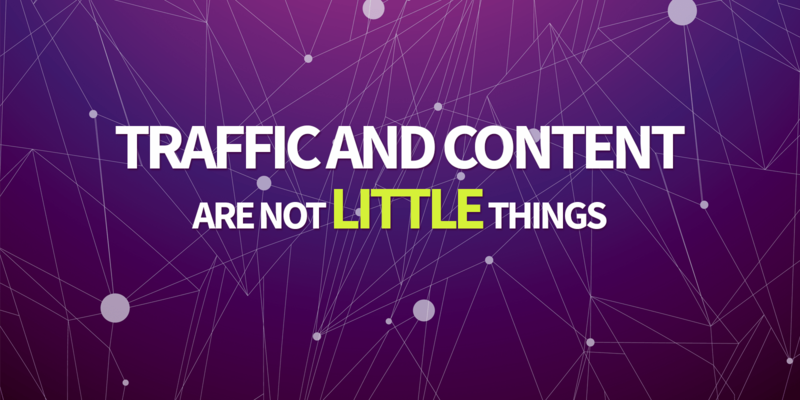 Having a consistent and well thought through content marketing approach that is executed well and integrated with your traffic strategy are not “little things”. These are important details that you have to get right if you want to grow and scale your business.